Sophsterlicious • UK Blog: » Primark FTW !! Yes indeed. I know that Primark is a bit hit and miss, I admit that, but when they get it right it's great, because for a bargain price, you get something fab!.. 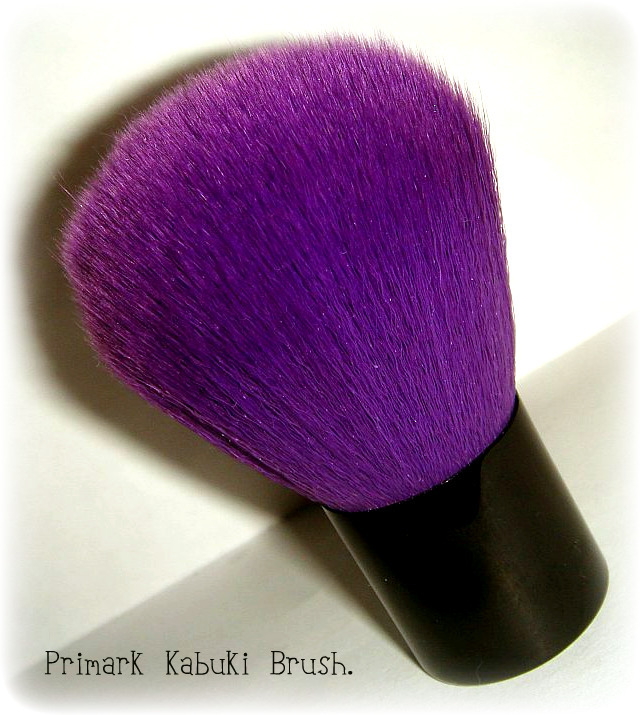 Take this brush for instance, It's around £2.00 (or so) and is amazing! It's soft, dense, washes amazingly well and best of all, it's purple! For the price it is outstanding, and I love to use this with my mineral powder, it really feels velvety on the skin. The bristles are a little bit flimsy and the brush isn't as dense as it could be, but it is dense enough to buff in your powder foundation. I have no complaints, it doesn't even shed, It's fabulous! Have you found any great finds in Primark? Tell me about them! You can try the elastic band trick to make it denser. If you wrap it round the middle it pushes the bristles in. i have this in pink! i love it, takes aaaaages to dry after washing though! I once bought some eye dusts in Primark, there were two in a set and they were on sale from £1 or £2 to 50p - so they were 25p each. The colours are really opaque and a nice texture. I have never thought to look at their brush range. Not keen on the colour though but for that price I should not complain! yeeees. i bought this one last month. :) It's a fab brush!..